Whoot whoot! My Brewdog package arrived and guess what was in it? 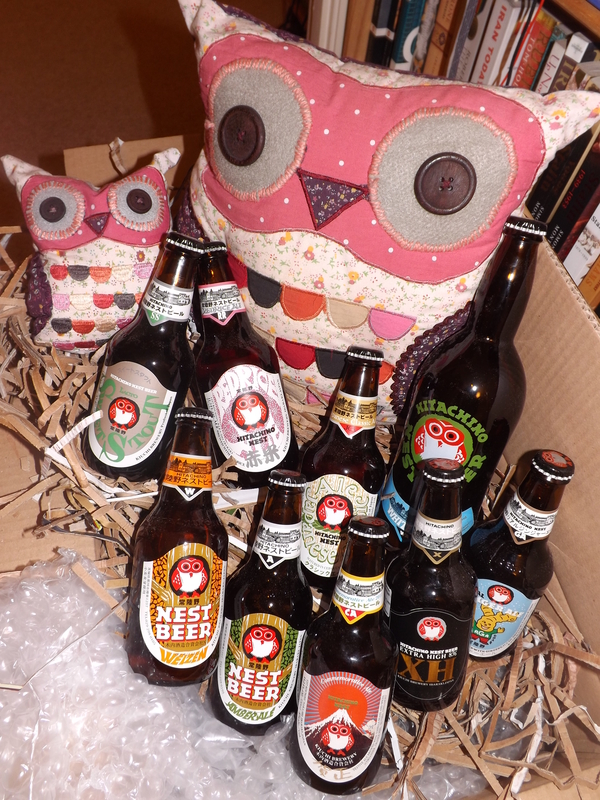 A whole range of ow-aley goodness and fun from Hitachino Nest! Hooray! Also, may I point out the Hitachino Nest almost came in a nest – look at all the packaging! I’ll certainly be ordering from here again! So – what do we have? Top row from left: Sweet Stout, Red Rice, Japanese Classic (matured in Cedar casks) & White Ale. Bottom row from left: Weizen, Amber Ale, Commemorative Ale, Extra High (apparently more malt & hops than usual and matured 6mth) and Ginger Ale. There weren’t just owls hiding in the box! 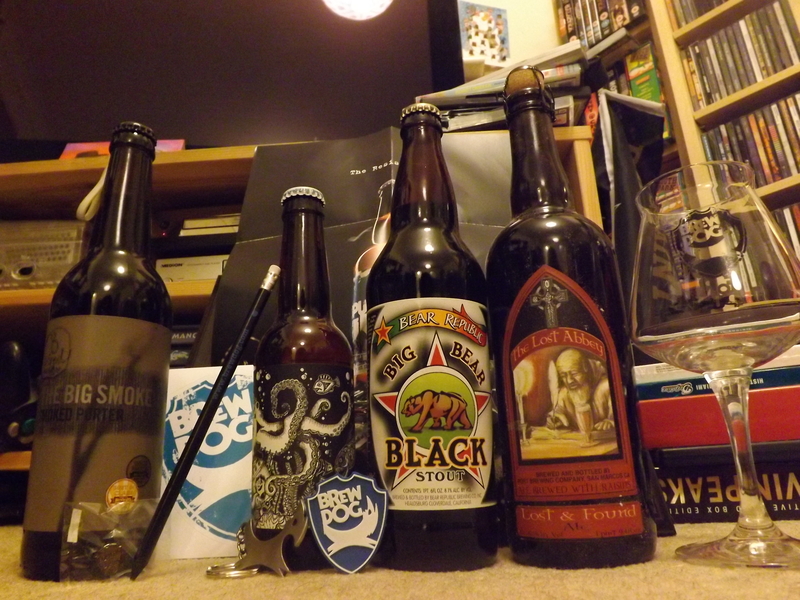 Here’s the rest along with some promotional Brewdog ‘Equity for Punks’ stuff we got sent recently and a lovely shiney glass I bought to put the beer in – yay for goodies! From left: 8-Wired The Big Smoke Smoked Porter (from New Zealand! ), Brew Dog Sunk Punk (fermented at the bottom of the ocean where the Kraken lives), Bear Republic Black Stout & Lost Abbey Lost & Found! It’s what Bank Holidays were made for!